2. We started getting the house ready about 2 weeks in advance. This included polishing silver, getting the carpets cleaned, etc. 3. Lists! I make lots of lists, regarding food, what needed to be done, etc. 4. Enlist help and borrow items if need be. I really wanted everyone to have a table to sit at since it was Thanksgiving and because the weather was pretty warm, I was able to put 3 tables on the porch. I was prepared to borrow an outside heater or a table if need be. 5. Start cooking early. I did this and put things in the freezer. 6. Don't stress. I think most people can feel if the hostess is stressed, strained or all the kids have just been yelled at because Mom is "loosing it." You know, it's not worth it. Whenever I have a big gathering or party, I think back to all my other large events and realize that it always comes together in the end and I learn something to do or not to do the next time around. Well, here are some priceless pictures that my husband was able to snap during the craziness. Everything looks so nice! My dad's side of the family is huge (he's one of 10 and there are more than 100 family members from my grandparents down). We've had all 100+ people in one house for holidays before. 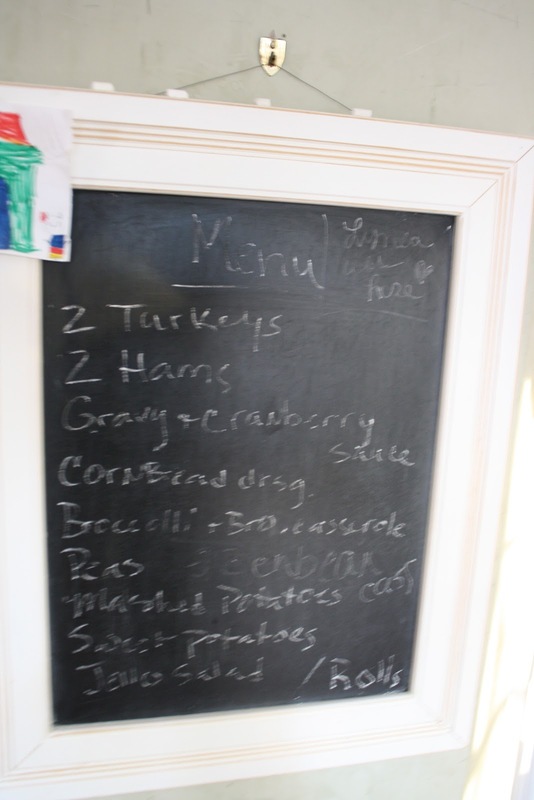 Lists and food delegating work wonders! Happy belated Thanksgiving!! Sure Katherine! Your blog is great. 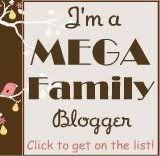 Thanks for putting me on your blog list : ) Blessings!